Bridesmaid Gift. Monogrammed wedding woman's hoodie. Light weight zip up monogram sweatshirt. Bridesmaid Gifts. Wedding Day. Getting Ready. Our signature hoodie and our bridesmaid favorite! Perfect for Spring days or cool Summer evenings. Casually cool, this hoodie adds a light layer to any look. 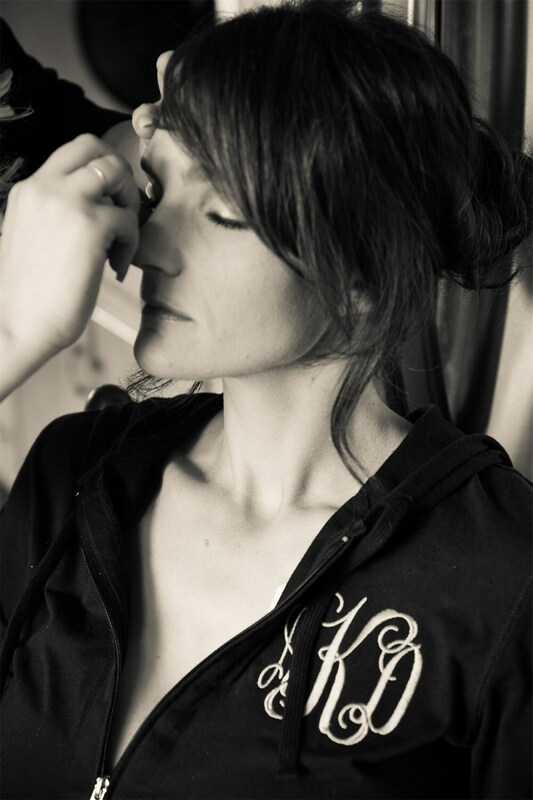 This darling zip up sweatshirt makes a great personalized gift for bridesmaids and is darling as a getting ready outfit for wedding day. Please note - hoodies are junior's sizing so we do recommend going up one size when ordering. We offer a bridal discount when you purchase 5 or more at once! Please contact us for your coupon code! Hoodies are available in 4 colors and the monogram can be embroidered in a thread color and font of your choosing. Monogrammed woman's hoodie. Light weight zip up sweatshirt with monogram. Bridesmaid gift. Birthday present. Embroidered initial clothes. Bridesmaid Shirts, Oversized oxford button down wedding day shirts. 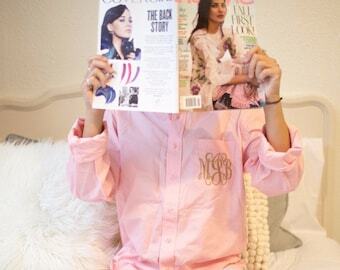 Monogrammed Oversize Getting Ready Bridal Party Gifts. Bridesmaid Presents. Something Blue seersucker scalloped edge monogram shorts. Lounge shorts for women. Bridal with monogram. Embroidered. 5’7” medium size, typically a size 4. Kid's Monogrammed Sweatshirt. Little girl sweatshirt with embroidered initials. Children's clothing with monogram. Pink Sweatshirt for Girl. Nautical Anchor Shirt or Infant Bodysuit for Little Boy or Girl. Monogrammed anchor. Beach, Summer Baby Shower. Navy military. Georgia peach shirt or infant bodysuit. Personalized name. Embroidered baby shower gift. Peach tshirt for girl.